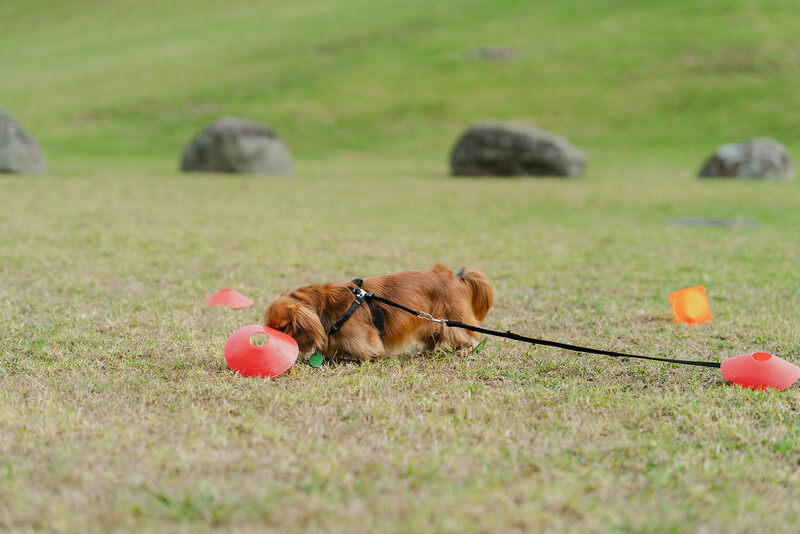 Frank the Dachshund was bred to hunt (Photo: Yuki Zhang). Two years ago Augusta Grayson was working in advertising, now she’s running her own dog training business. James Borrowdale met Augusta (and Frank the dachshund) to learn about Unitec’s Certificate in Animal Management. Frank surveyed the park, narrow face framed by red-gold locks, his eyes following the active-wear-adorned man strolling through the gully on this overcast morning. Frank signalled his curiosity with a minor howl, and then buried his face in the grass, his bushy tail wagging slowly as he sniffed around for something to interest his palette, and then very quickly, among the bushes, he found it. Two years ago, Augusta’s working day looked very different; then, she was putting in 12-hour days in the advertising trenches. 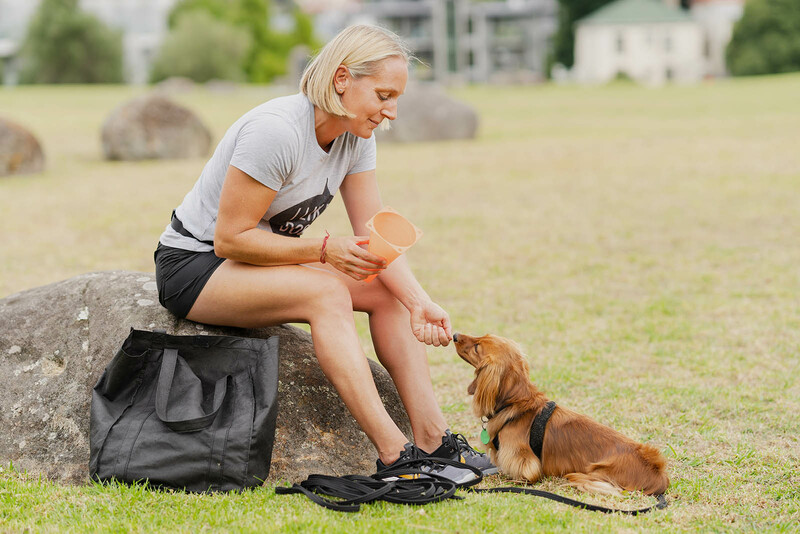 Now, dressed in running shorts and a T-shirt proclaiming ‘I like dogs’, hanging out with characters like Frank – “pretty chill, a bit loud” – are how she spends her time. 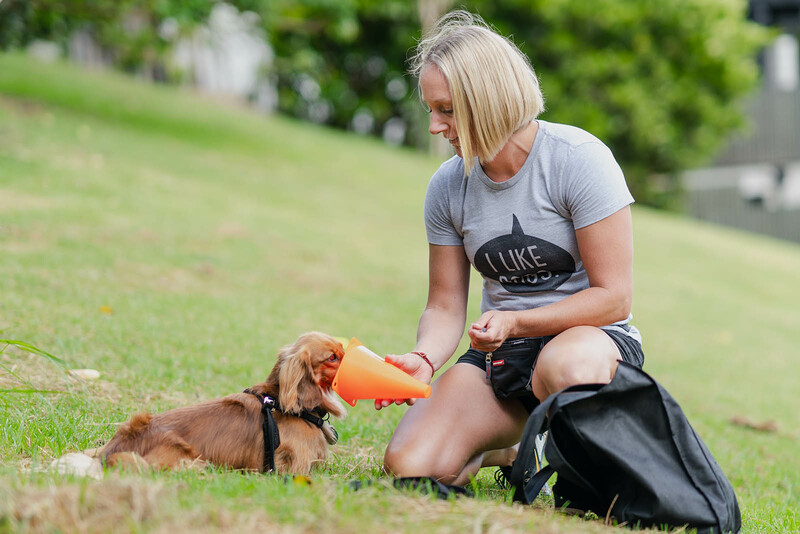 After completing Unitec’s one-year New Zealand Certificate in Animal Management (Canine Behaviour & Training) last year, Augusta set herself up as a private dog trainer. On this day, Augusta was working with Frank to help him direct his prodigious talent for following those scents into constructive – or, at least, not destructive – ways to pass his time. Augusta grew up in the Hawke’s Bay, where she remembers local dogs roaming free. It wasn’t until a spell of freelancing from home on Auckland’s North Shore that she noticed the barking and whining of the neighbourhood dogs. Soon after she ended up working with an agency and Unitec was a client, and that’s when she came across the animal management course on the Unitec website. Finding that in combination with the distressing chorus that sound-tracked her freelance life persuaded her to sign up. Just over a year later, Auckland’s parks are, at least some of the time, now her office. Frank is scent driven (Photo: Yuki Zhang). Humans, Augusta told me, have something like five or six million olfactory receptors in the brain. Some dogs, like the beagles who drag their noses over your baggage in the airport, have as many as 300 million; Frank, Augusta says, would have something near that. She said that if humans could see as well as dogs could smell, we’d be able to see as far as Australia. Many of her classmates followed their dogs’ noses into working with the police or the Ministry of Primary Industries, protecting Aotearoa’s borders and safeguarding its biodiversity. Frank showing his investigation skills (Photo: Yuki Zhang). She describes the relationship as more like that of parent and child – you’re creating a positive environment for learning, setting clear guidelines and developing a relationship based on trust and mutual enjoyment of each other’s company (and pats). And with that, Augusta and Frank said goodbye. Frank trotted up the hill to keep pace with Augusta’s stride, just two animals figuring out how best to interact with each other. Originally posted by The Spinoff on March 25, 2019.